- Polarity: Bi-polar by automatic switching " - " indicates reverse plarity. - Over Input Indication: Indication of " 1 " or " -1 "
- Accuracy: Class 1 & 0.5. This watt meter comes with display we can measure voltage , current and wattage. We have a vast variety of panel analog meters. We present an exclusive range of Analog Meters. Our products are available in diverse specifications that meet on exact requirements of our patrons. We offer efficient and quality assured DC Wattmeters for measuring DC power in a load. Only genuine raw material is employed in the production stage to make sure that the quality of the final product is of high industry standards. - Input Range : 0 to 1000V for Voltmeter, 0 to 20 Amps direct & 0 to 1000 Amps through CT for AC Ammeter and by shunt for DC Ammeter. DC watt meters for measuring dc power in a load. We are offering wide range of DC wattmeters. 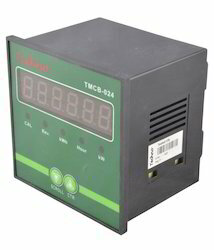 We are leading distributor of DC wattmere, DC energy meter, Battery measurement instruments. Our DC wattmeter range starts from 0.1 A. We provide meters as customer specification.